Utopia is the last faction out of the game with Naashtis. It excels in shooting and harassing. A large part of their miniatures have weapons of shooting or skills that can reduce the characteristics of the enemy miniatures. Utopians must be played in synergy with each other to maximize their impact in the game. Utopia miniatures are rarely autonomous, so they must act together to be effective. So they will be at a disadvantage on the movement scenarios. On the other hand, they will be able to cope more easily with the position scenarios, which can harass the enemy during his progression before completing it. The faction has specific resources and in limited quantity that will be exploited at best, these resources are Alchemical Charge and Kunti, and serve to increase the efficiency or the number of shots and the decrease in the characteristics of the opposing models. These resources are paramount and the choice of their use must be reflected. This is the ideal faction for players who like to temporize a game and harass their opponent. It is also a faction requiring a certain rigor in its use and leaving little right to the error. Advantages: The main strength of Utopia is the proliferation of fencers that the faction can align, among the best in the game. Their great power can severely undermine the opponent before the melee begins. They also have several references that can hinder the effectiveness of the opponent, playing on the temporary decrease in the characteristics of its miniatures. His two types of miniatures, if they do not overcome opponents, open the way for a few specialized fighters of the faction. If harassment and shooting are two specialties of Utopia, they are especially important to the latter to be able to calmly start the close combat. Weaknesses: The main weakness of the Utopians is their lack of resistance. 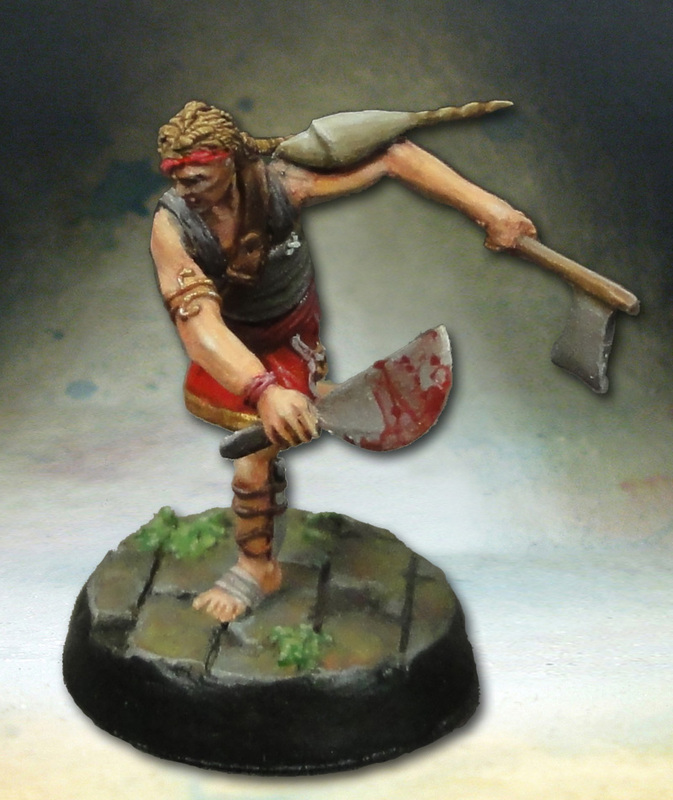 Apart from a few references, very few miniatures exceed the 10 in Defense and they have overall less Life points than their counterparts of the other factions. Utopia is therefore the most fragile faction of the game. Except for the few combat specialists, any Utopian engaged early will have little chance of escaping without damage. The placement of the miniatures will be essential. The low resistance and short ranges of shooting weapons will force the Utopians to expose themselves. They will have to use all means available to weaken the opponent before engaging him. This implies a good mastery of its miniatures and special abilities and existing interactions. 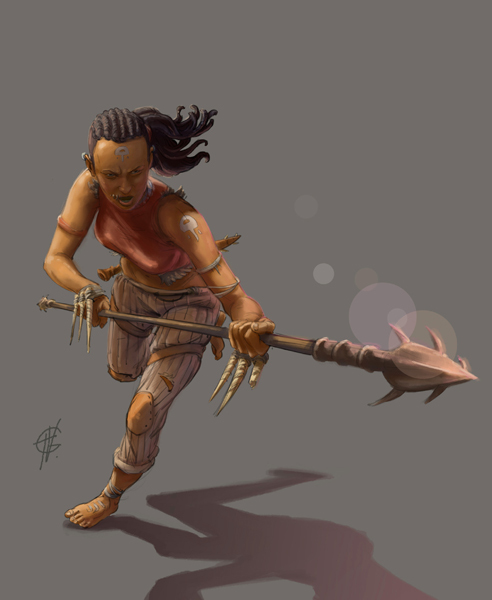 Evhan is a heroine of ranged attack. Despite its short range, the strength and damage of its weapon make it formidable. The limitations of her weapon make that once exhausted all her charges, she will dedicate herself more to the scenario, leaving the opposing miniatures to the other shooters. As a shooter and leader, she must always avoid melee and not expose herself. It is particularly formidable early in the game, representing a great threat to the opponent. 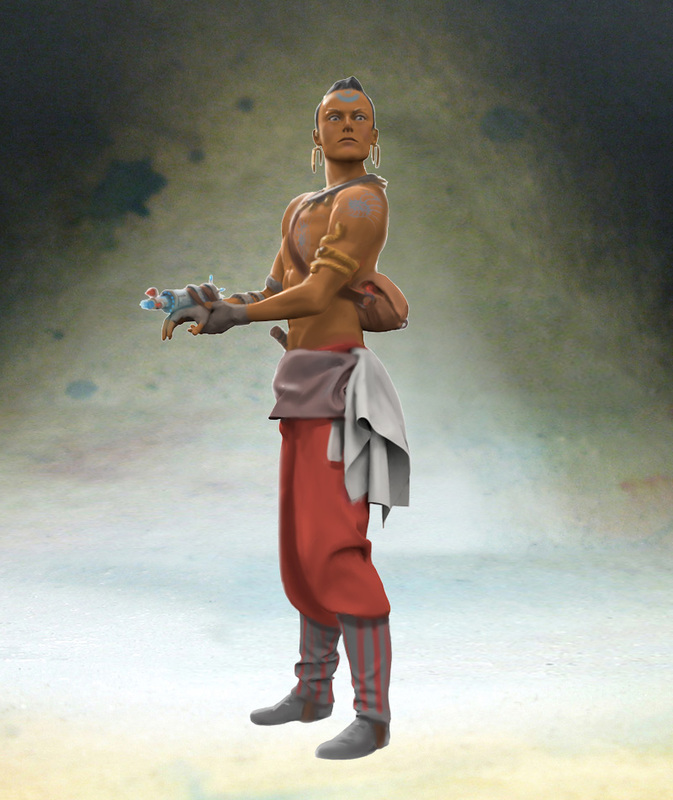 Virato is a powerful Utopian melee hero. The pair of Long Reach and Sequential Attack skills is very powerful and makes it able to tackle almost anyone without danger. His Command skill transfers his Action Points to Allied action miniatures to perform shooting or charge actions. He will use this ability at the beginning of the game, to support the allied shots, and at the end of the game if he is too ill to stay close to the fighting. 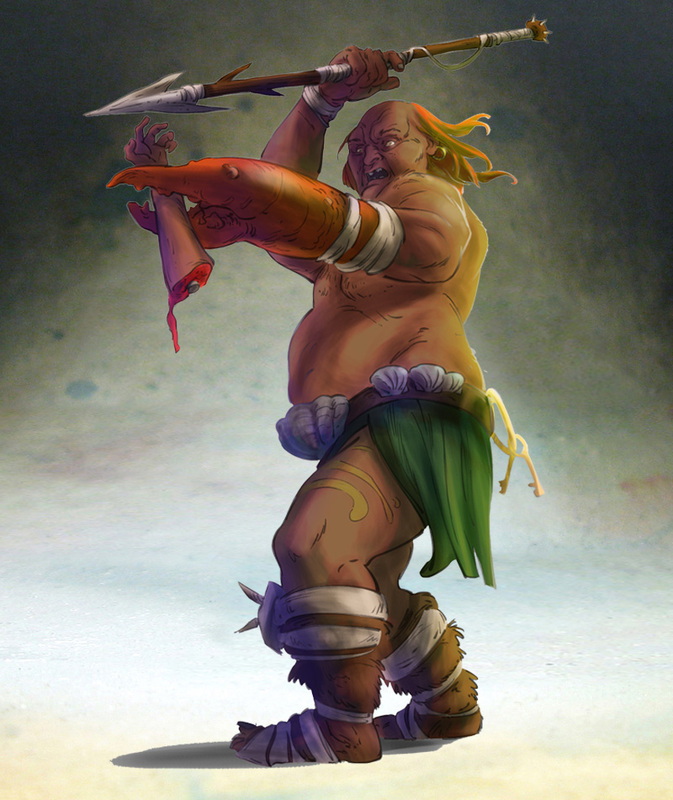 Having a crossbow in Kunti, Foldo Sensamuerto will use his shots to slightly hurt the opponent but also inflict severe penalties characteristic. It is perfect for diminishing opponent offensives or making it more permeable to attacks from other Utopians. 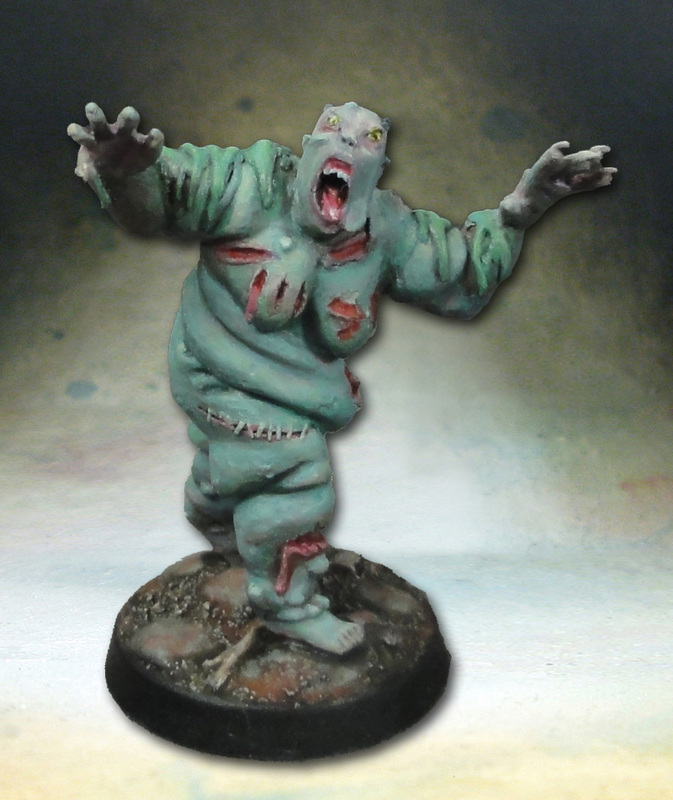 It has to be paired with allied miniatures to bring out its full potential because it has only a low damage table at a distance for a hero of this ilk. 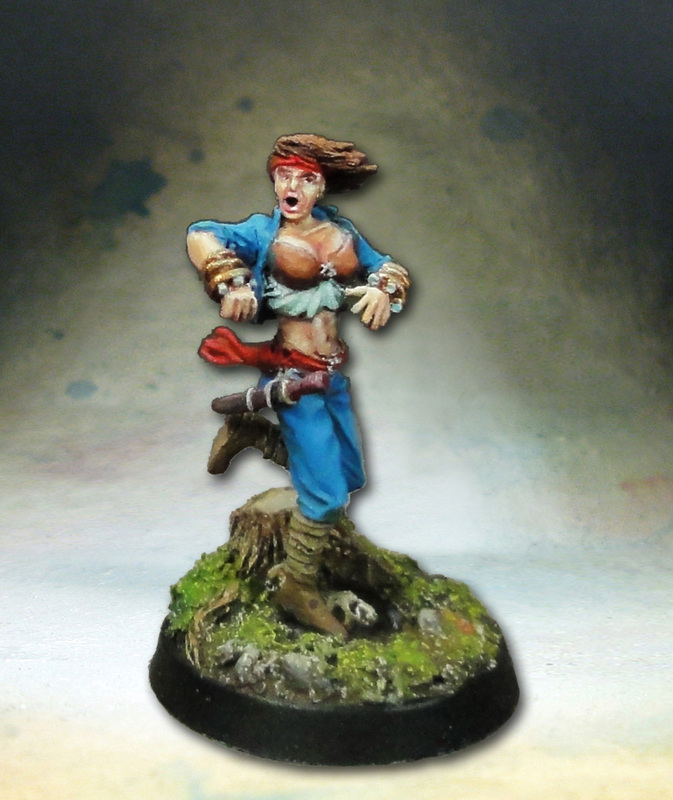 Alchemist hero of Utopia and excellent leader, Lerofon is very different from other miniatures of the faction. It is characterized by its great resistance, having the best defense of the faction. He is then a very versatile hero, able to play the scenario, as well as attack and defense thanks to his alchemical formulas. His Alchemical Harpoon gives a powerful ranged attack to the allies while his Wave Surge serves him to remove the opponents of a given place from the ground. Homunculus Hero of Utopia, Ch’unqay has a fairly average profile for a fighter despite his many life points and his scary Frightening. Nevertheless, its greatest strength is to increase its characteristics, temporarily when it hurts an opponent and definitely if it puts it out of action. It can therefore quickly increase its resistance, strength or speed and the longer the game, the more it will be threatening for the opponent. 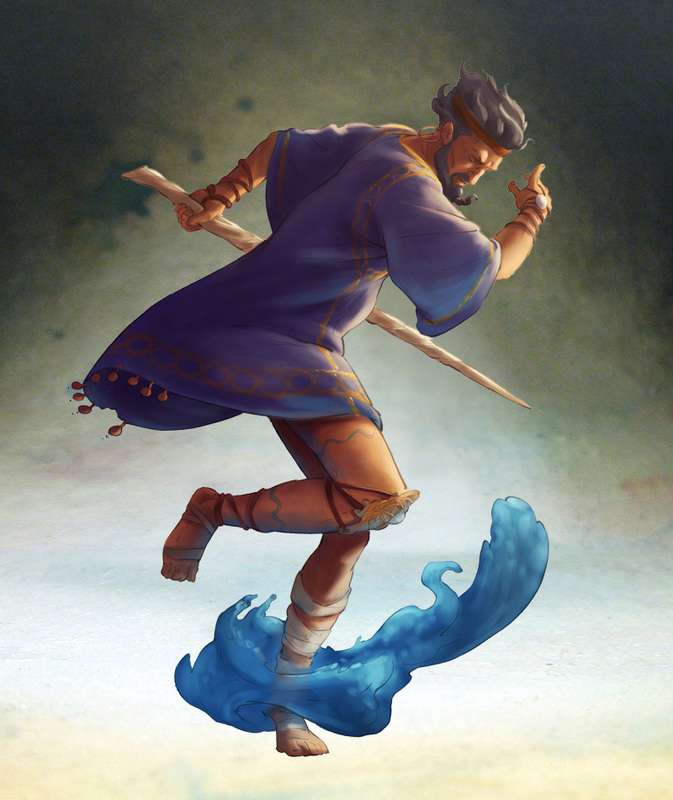 The Water Diviner is an alchemist of Utopia whose formulas serve to hinder enemy attacks. Its first formula allows it to prevent the target from choosing a combat card, chosen by the Utopia player, thus being able to torpedo a mode of combat (notably with the opponents Expert: X). His second formula allows him to drastically reduce the Defense and Combat characteristics of his target, making it an easy prey for other Utopia action miniatures. A small alchemist and a bodyguard for the Legends Hunter’s allies, his unique formula allows him to hinder the charges and enemy shots by creating an area that cuts the line of sight. It can protect injured allies or allow them to play the scenario without fear of being vulnerable. The apprentice will be especially protected as it can be useful to Utopian gameplay. 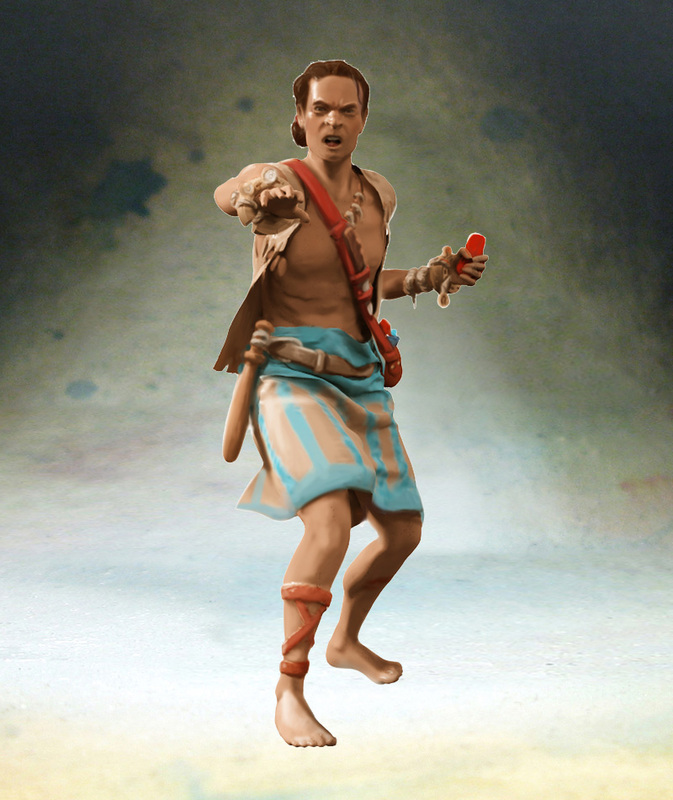 The cheapest troop of the faction, the Sailor is a low-cost shooter. His ranged attack is not powerful and quite random but he can according to the results of a shot, win a second free shot. He is nevertheless destined more to play the scenario, using his shot if the short range of his weapon allows it to him. Aligning up to three can saturate the opponent with shots. Assault troop, the Filibuster relies on his Sequential Attack and bonus reflex to hit fast and strong. Like other Utopia miniatures, he must have the initiative of the attack to benefit at best from his bonuses. Its striking power makes it useful in many uses, both to finish an opponent started by the shots to pour the first blood. 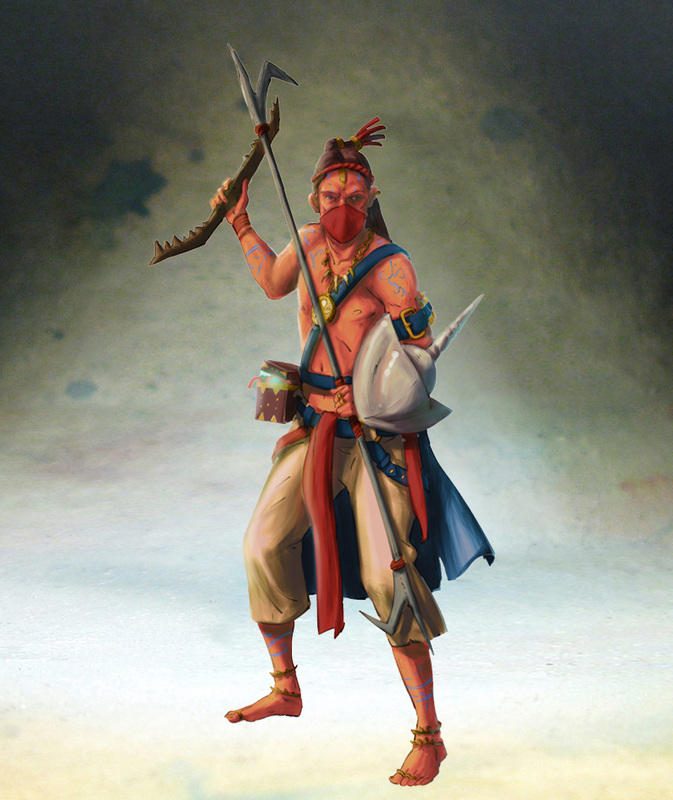 A utopian base troop, the Chora Guardian will use his Long Reach and Strangle ability to remotely attack and paralyze enemy action miniatures. This strategy is very effective against base troops, but Guardians fear elite enemy troops. Playable up to three copies, they can form a troop base very painful for the opponent. While having the Frightening skill, the Necromorph profile and damage table are far from scary. However, his ability to check all the Life points of the same color as the last checked in the opponent make the least of his attacks will have severe consequences for the latter. It is perfect to deal with enemy elite action miniatures. The use of the Climber and Excavaor has the same purpose although the means differ between the two miniatures. Thanks to their K’unturi, each of them can inflict penalties on the characteristics of the enemy models hit, and this for their next roll of dice. These penalties depend on the reserves of certain resources possessed by each of these miniatures whose player Utopia will have to decide the use with each round: the Kunti. The two miniatures are therefore intended to reduce the effects of the throws of the opposing dice. They are perfect in the first wave of fighters to neutralize too powerful or too many threats. 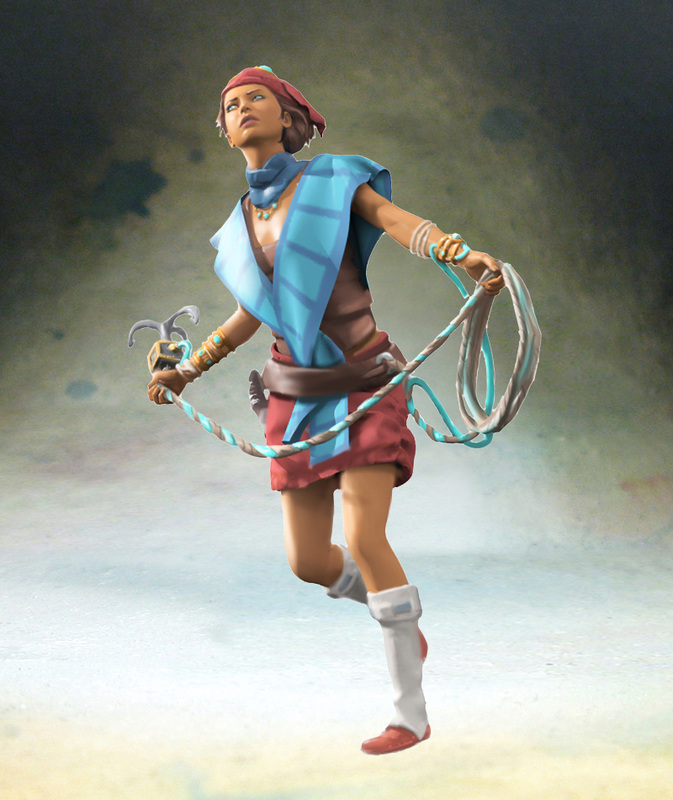 The Climber will attack by shooting at a very short distance, while the Excavaor will inflict the penalties during close combat. The Sharpshooter is the elite troop of ranged attack of the faction. He is an excellent shooter with a formidable damage table and three Action Points. Nevertheless, the disadvantages and the operation of his weapon make that the more he will inflict damage on the opponent, the more he will suffer in return. It must be protected at the end of the game to prevent the opponent from coming to complete it. 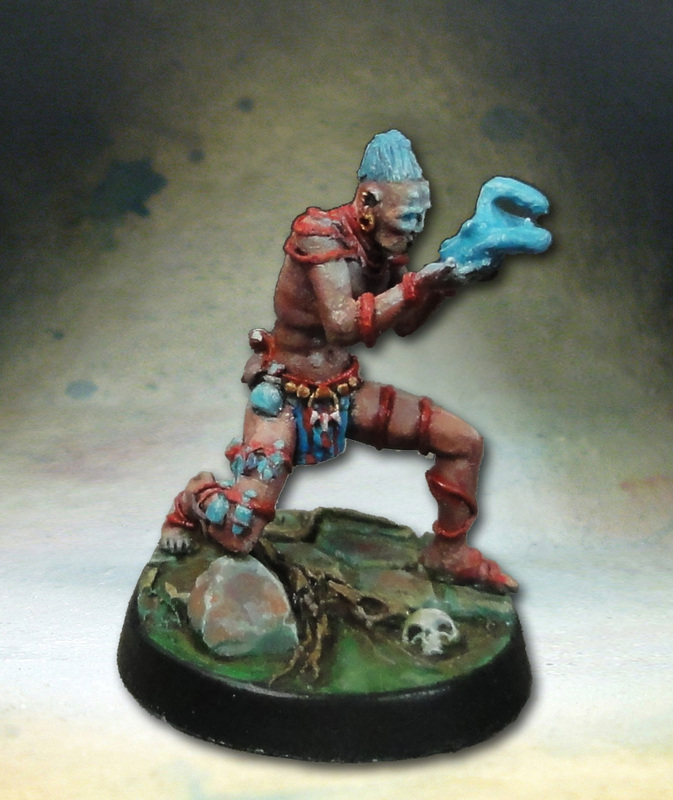 An elite troop of Utopia, the Manikin is one of the very few miniatures of the faction distinguished by its resistance. Good fighter and relatively mobile, it is very painful for the opponent for his ability to heal as soon as he wounds or puts out of action an enemy model. 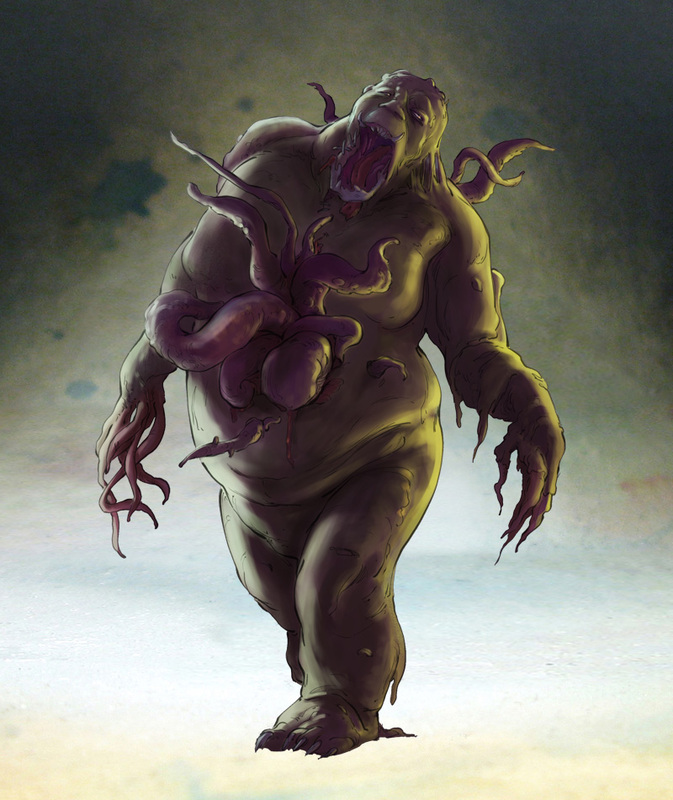 His Frightening and his care make him able to fix the fights and engulf the opponent in a long fight. 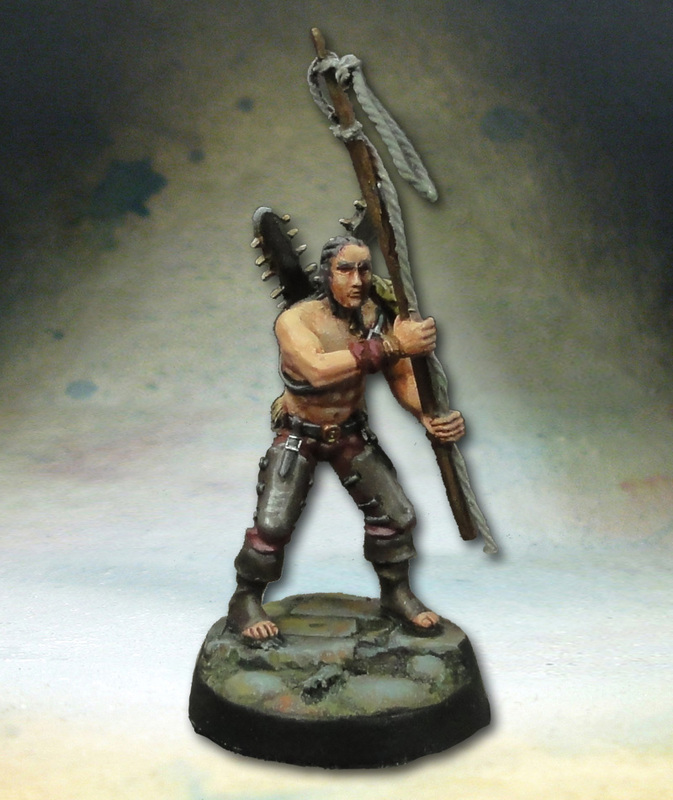 An elite troop of three Action Points, the Medusa Hunter is an attack-oriented miniature. His good value of Reflexes allows it to quickly inflict heavy damage and poison its opponents. Its Long Reach gives its a security compensating for its very great fragility. Its must always have the initiative of the attack and not hesitate to move to go to poison other miniatures and do not drag on in a long fight. Size 3 of the faction, the Leviathan Hunter combines resistance and strike force. Tough, with a good fight and an excellent damage table, it can inflict great damage to the opponent before giving up the ghost. It also has a boot that can lose action points to the opponent. He often plays the same role as the Manikin in a troop Utopia.